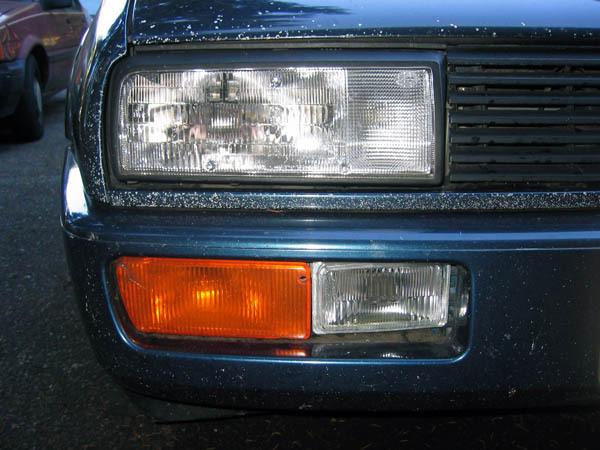 This article describes how to replace the cracked fog light lenses on a Volkswagen Corrado. This is one of the infamous design flaws that everyone runs into; the stock Bosch lenses crack due to the heat from the H3-55 bulbs. 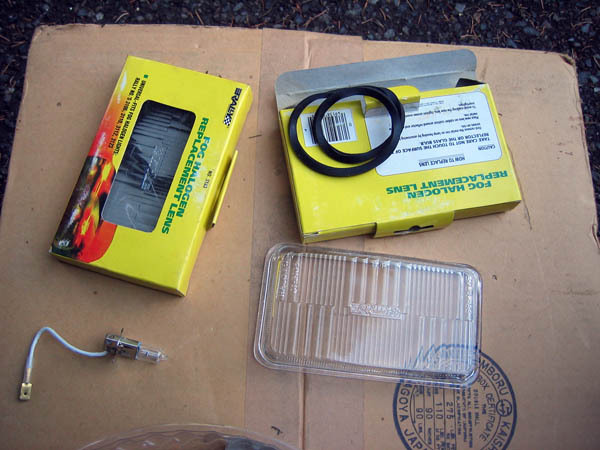 The pictures show the procedure on a Corrado G60, hopefully the Corrado SLC/VR6 is similar. I have had the well known replacement lenses made by Rally Manufacturing Part No. 3183 in my parts box for a long time and finally got around to installing them. They're very cheap compared to anything from the dealer, at around $7 shipped each if I recall. I have heard rumours that some guy bought a whole bunch from Rally and started flipping them on eBay for a huge markup and they won't sell to the public anymore, but I don't know if that's true. If you try and order them post a comment at the bottom and I'll update this section. You should have a pair of new H3 55W bulbs on hand as well. You can get them at any auto parts store for about $5 each. If you have one, a heat gun makes removing the old lens glue a lot easier. First, remove the indicator lens. Push the inside edge towards the outside of the car and the two tabs will release. Hey look, stock orange turn lenses! Don't see too many of those around. I like orange with blue paint. Please ignore the millions of rock chips, I bought it like that. 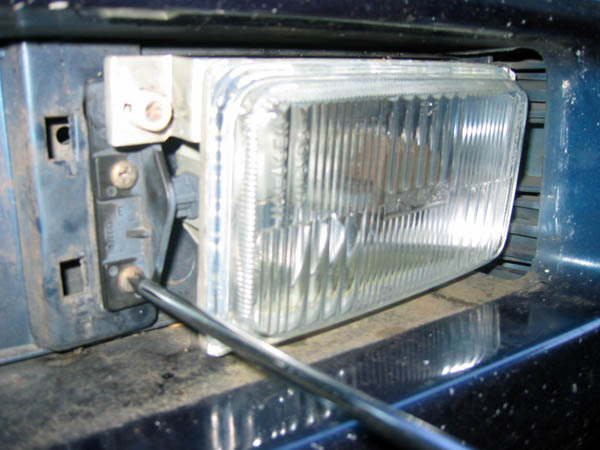 Remove the two screws holding the fog light assembly to the bumper. 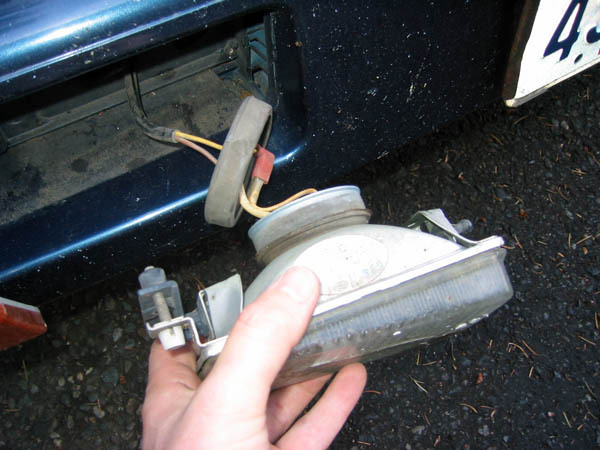 Pull out the fog light, pull the rubber cover off the back and disconnect the two wires. Remove the H3 bulb by squeezing in the two arms of the clip and swinging it up. 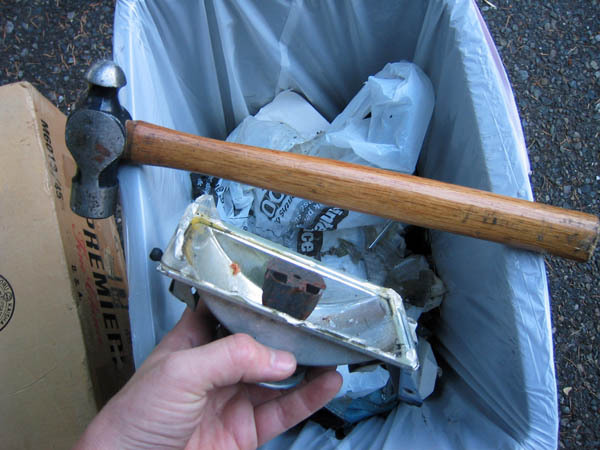 Grab your hammer, put on some leather work gloves and hold the light over a garbage can. If your lens is already cracked, whacking on the glass will break it up quite easily. Knock as much glass off the reflector as possible, it will make the next step easier. Now you have to get the old sealant and any remaining glass off the reflector. I used a 1200W heat gun to soften up the white adhesive a small section at a time then picked it out with a razor and a small screwdriver. 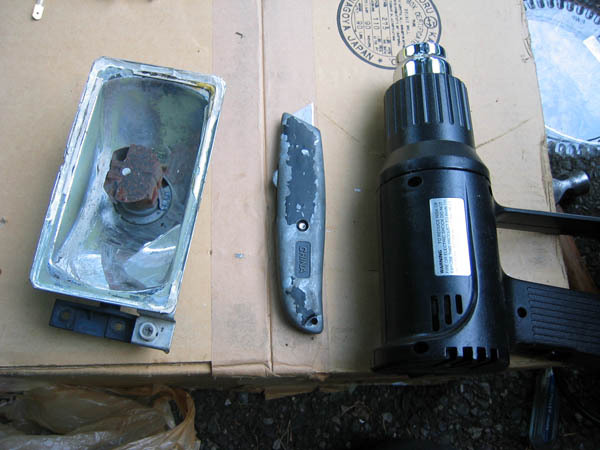 I don't think you would be able to do this without a heat gun, the white goo is rock hard. Be really careful not to slice yourself open. Get every trace of the old lens and adhesive off, you need a good surface to bond to the new lens. Takes a long time, reward yourself with a beer. 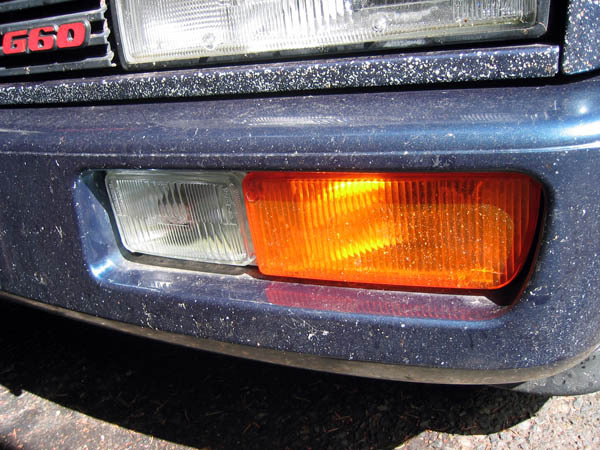 You should read ahead to Step B now, as it would be a great time to modify the reflector mount. Get some glass cleaner and clean the inside of the reflector. Be gentle, don't scrub off the reflective film. My lights had pretty big holes in them for a long time and you can see the green plastic where the film completely wore off - oh well. Test fit the lenses in the assembly. One of my lenses required grinding on the top and bottom edge to fit, the other slid in just fine, so there is some variance in manufacturing. I used a grinding stone on my Dremel to take a bit of the edge off, but you could do it with sandpaper and elbow grease too. 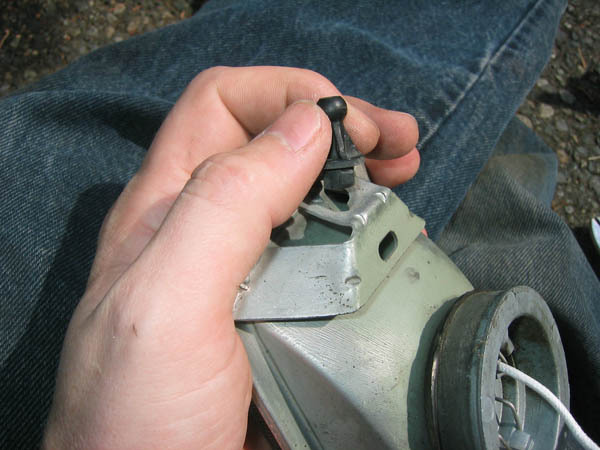 When they're a good fit, lay down a bead of silicone RTV and push the lens into place firmly to get a good seal. I used clear RTV because I wanted it to be clear. You can use clear, white (like original), or high temperature RTV if you're really paranoid. 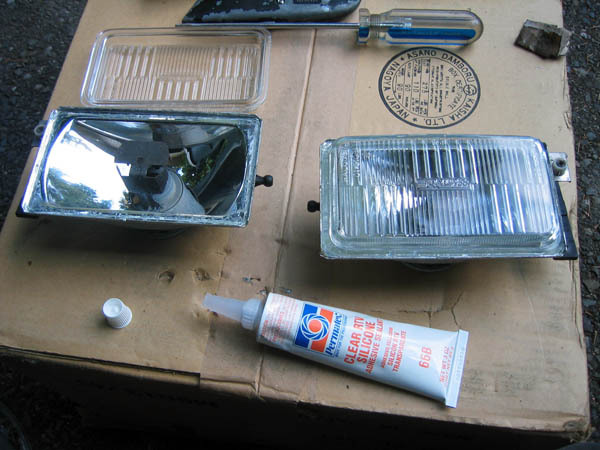 I used the cheap clear stuff and tested it afterwards by turning the lights on for about 15 minutes with the car parked. Those suckers get really hot but the RTV didn't seem to be affected at all. If my lenses suddenly fall out or catch on fire (doubtful) I'll make a note to use high temp RTV here. I didn't use the rubber gaskets that came with the new lenses. Time to put them back in! 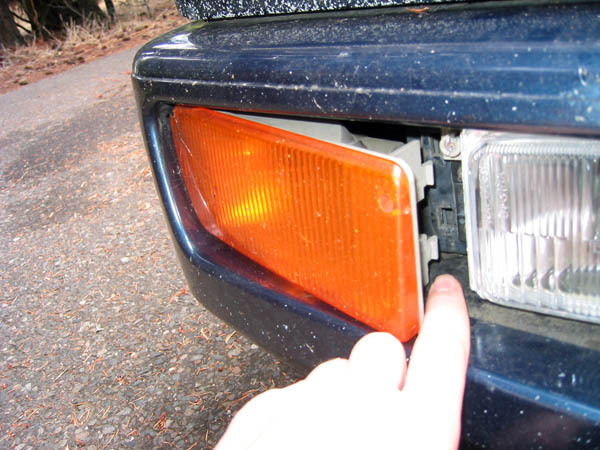 Note that you probably want to screw the fog light adjuster in as far as it will go so the lenses align as best as they can with the indicators. Whether or not this is the right adjuster position for actually driving in fog, I haven't had a chance to test yet. Now the first thing you will probably notice is that they look kind of funny. That's because the stock lens was a lot thicker on the inside edge to make them align with the indicators. If you can live with it, great, you're done! If not, I figured out a way to fix it, read on to learn how. OK, I didn't think you liked having your Corrado all cross eyed either. Notice the assembly pivots on this little plastic ball. 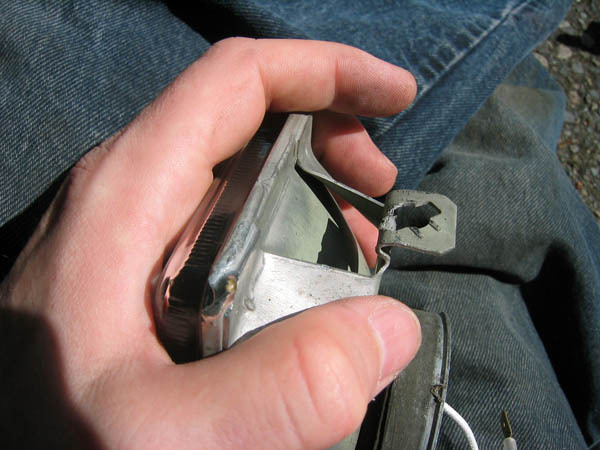 Grab some pliers and gently turn it a half turn and it will come out of the assembly. Don't break it, be gentle! It will probably turn easier in one direction than the other. 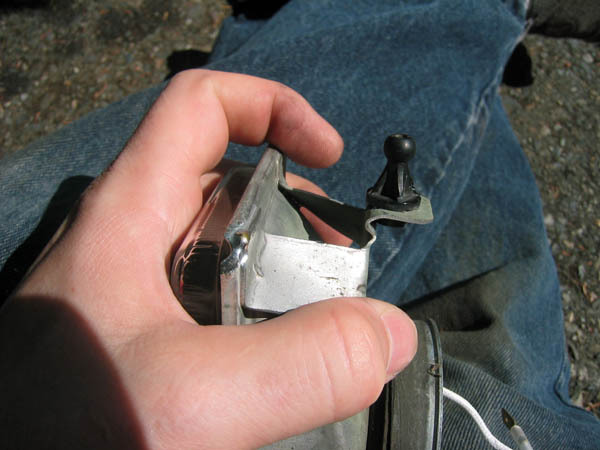 Now grab the tab that the plastic pivot was mounted in with some pliers and bend it 180°. This is cheap metal, so don't bend it back and forth or it will surely snap off and you'll be screwed. Take your time and get it as straight as possible. Reinstall the plastic pivot. If you did a good job with the bending this should be easy. 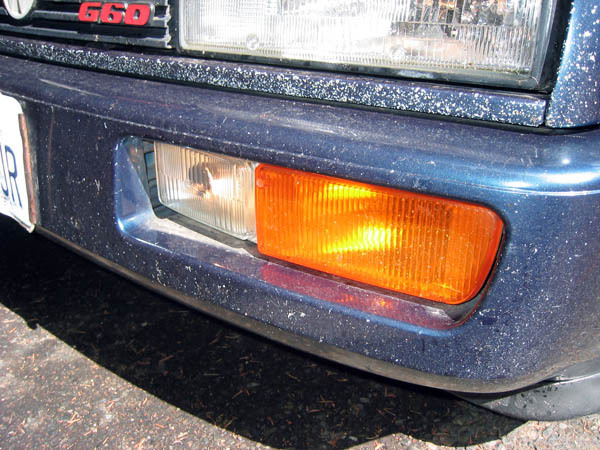 Put your fixed and modified fog lights back in your car and enjoy the improved looks! 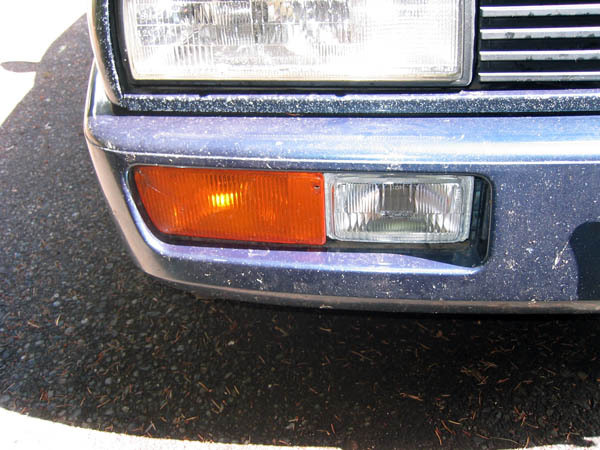 Comments on "Replacing Cracked Fog Lights"
can you still get the lenses? OK, I'll give them a shout. many thanks for the reply.